Hope you all had a GREAT Easter celebrating our RISEN SAVIOR. I looked at her with that what-are-you-talking-about expression on my face. She KNOWS what Easter is about. 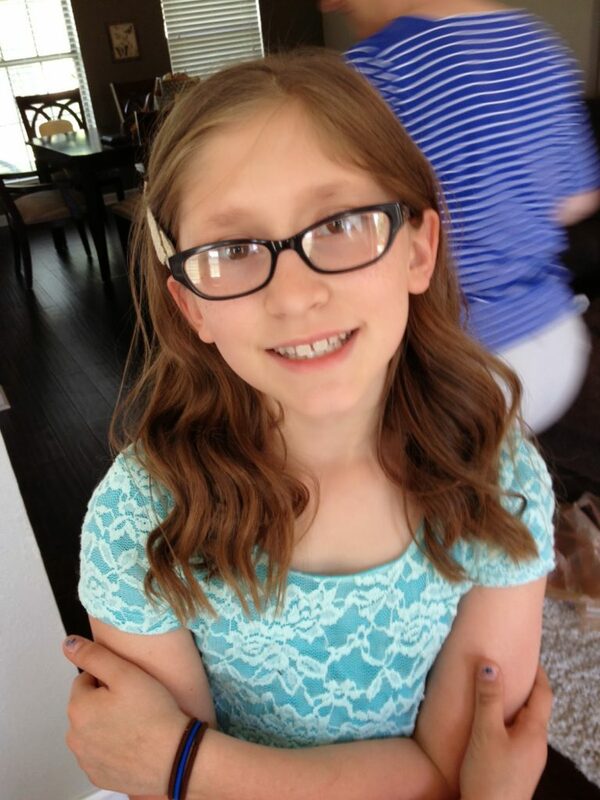 She’s been in church since she was 6 days old and had her first Easter shortly thereafter. Why would she be asking this? Of course, I answered no. She went on to explain that she knew the answer, that it was all about Jesus dying for us and now being ALIVE, but some friends on the bus had been talking about how Easter was all about getting candy, and it concerned her. And mommy’s heart felt so much better! I LOVE that my children’s hearts are starting to hurt for those who don’t know God’s truth. I love that she saw the fallacy that holiday’s are about doing instead of remembering. Remembering is the whole point of holidays, in my personal opinion. All year we go along with our lives, and sometimes things just get hectic. Yes, we should remember every day. And most days we do. But I love that we can have a day that is all about remembering our RISEN LORD. A reboot, if you will. God evoked days of remembrance way back in the old testament, wanting to make sure through the generations, that what He did for the Israelites was not forgotten. We have lots of traditions. We have Easter baskets, bunnies, candy, egg hunts, and the like. Most of them are just fun and honestly, have zip to do with Jesus. They are fun traditions, and yes, we do them in our family too. But we make it a point to remind our kiddos that these are just that. Traditions. That we do not celebrate bunnies or eggs or some Goddess that they celebrated years ago. We celebrate JESUS. Super thankful today to have another year with my family to spend in remembrance. Thankful that my children DO listen, that they have taken the cause of Christ to heart and can see how minor things like “candy” are and how AMAZING and life changing JESUS is. Oh yeah. 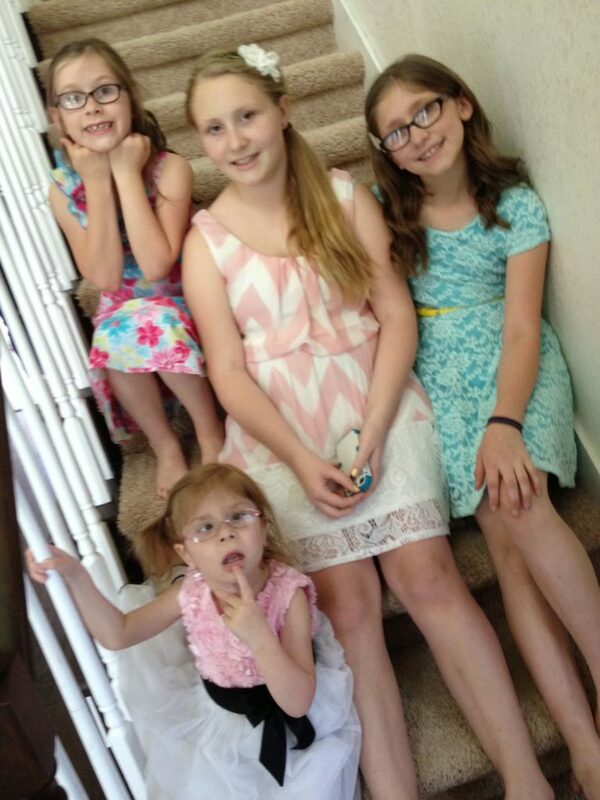 I have some beautiful girls!!! 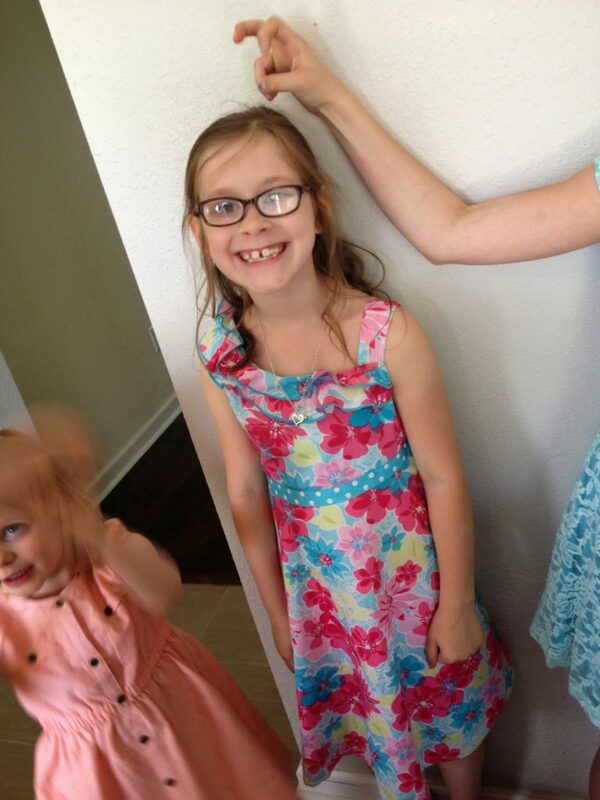 Gabby… with big sis lacy giving bunny ears. 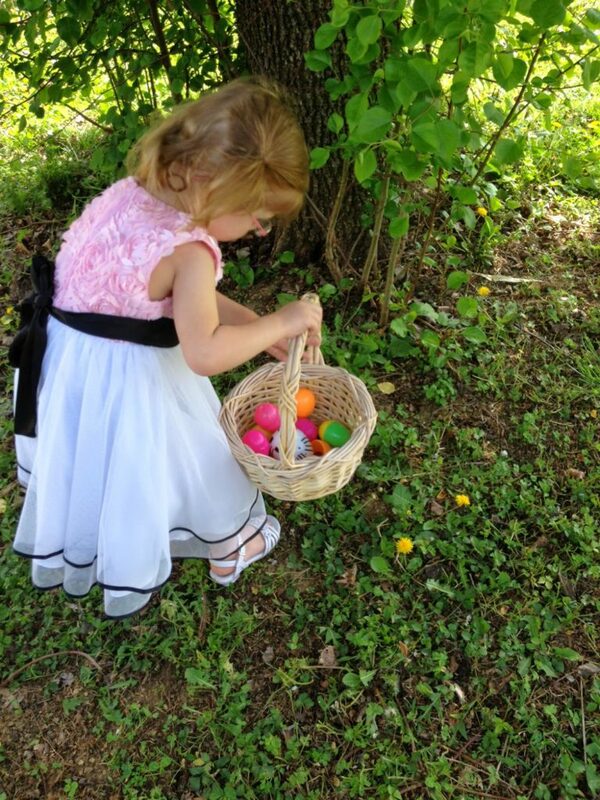 I thought it appropriate…..
Finding Easter Eggs! Go Annabelle! She did SUCH a good job. Much better than I expected! 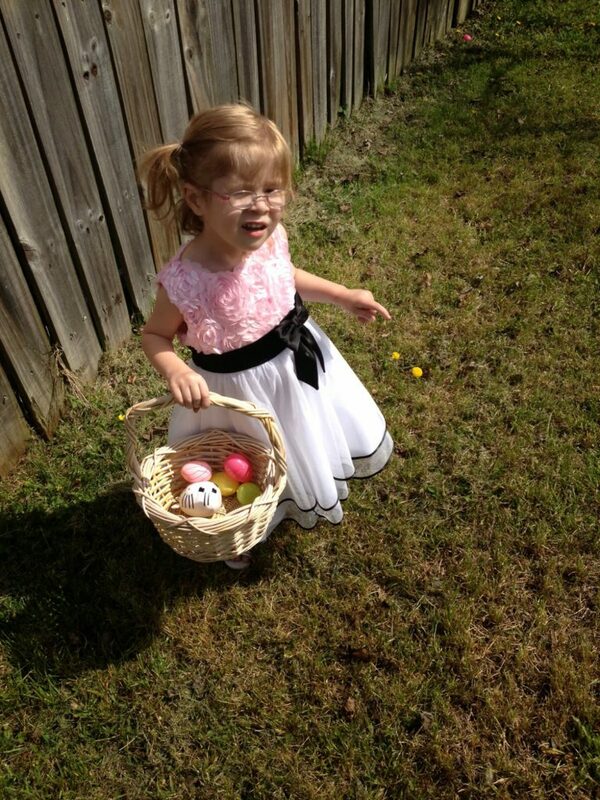 Last year, she could care NOTHING about an easter egg hunt and wouldn’t even put them in her basket or pick them up. This year, while I still had to instruct and point them out, she was SUPER eager to get them. Then she proceeded to open them all up, then steal her sister’s eggs and dump out all their candy onto the floor. They were SUPER happy about this, as you can imagine! 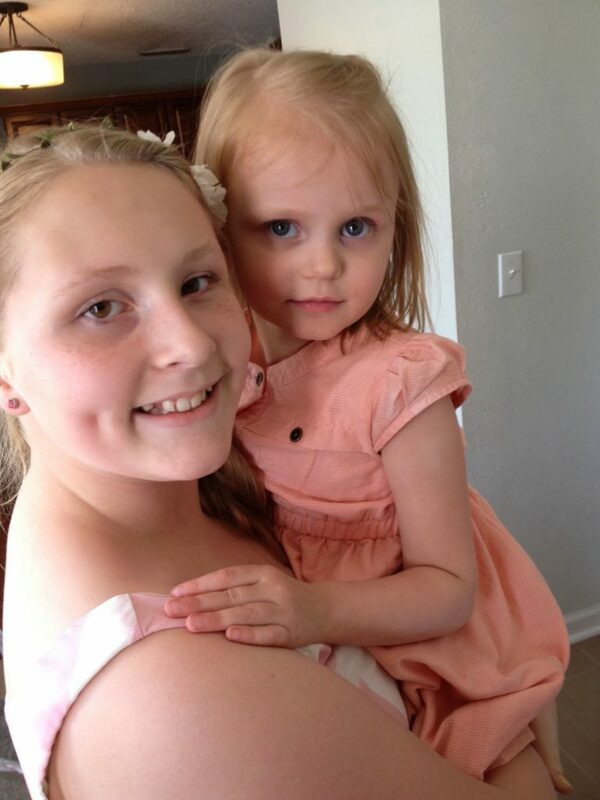 Such sweet pictures of those beautiful girls! !